April might be just around the corner, bringing with it the dreaded tax year end, but one Hampshire mortgage broker is taking it all in his stride. But for those like Chris Corbett of Corbett Financial Solutions, it doesn’t have to mean business down-time while he gets everything in order. In previous posts we have discussed the benefits of employing an accountant who is on the ball when it comes to getting end of year accounts submitted quickly. And this is why, despite the fact that it is possible to put things off until January next year, we always recommend getting them done as soon as possible. Chris Corbett is a professional mortgage broker providing expert mortgage, insurance and protection advice. He is just one of the Approved Accounting clients who has discovered the benefits of outsourcing his accounts and getting year-end completed quickly. He says: “It’s so important to me to stay on top of things and get stuff dealt with nice and early, so I know exactly where I stand financially. 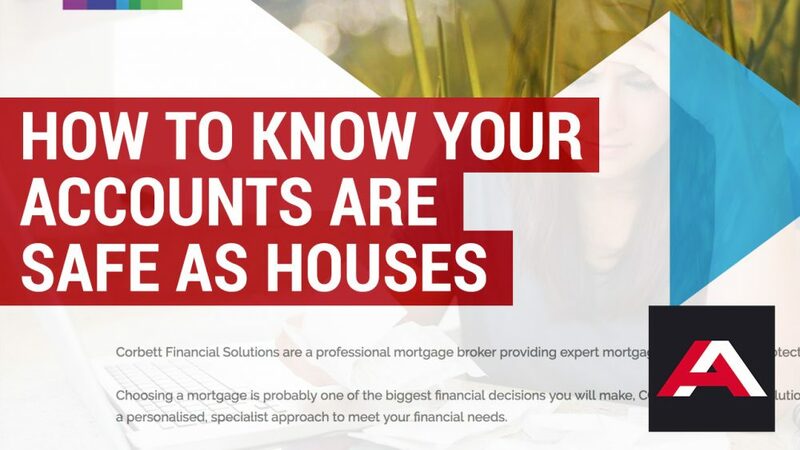 Chris, who specialises in residential and buy-to-let mortgages, believes that the personal approach within financial services is often lacking. This is why he values getting to know his clients, so he can provide a bespoke service to suit their needs. It’s the same sort of excellent working relationship that he has enjoyed for the last ten years with Approved Accounting. One which has seen him grow from being a self-employed sole trader to a limited company. Chris has found one of the biggest benefits to getting the financial side of his business dealt with by Approved Accounting is not only that he knows where he stands for the year ahead, but also that his books are in safe hands, meaning he can get on with doing what he does best. Don’t leave your year-end to the last moment. To find out more about how we can help your business, call 01730 823 000 or email Jon or Matt now for a friendly, helpful and informative chat.